I know it’s 2010, but I started writing this blog about iPhoto ’09 a few months back, never finishing it. There are a mix of new features in iPhoto (part of Apple’s media program called iLife), and I just wanted to share them (if you weren’t up-to-date). 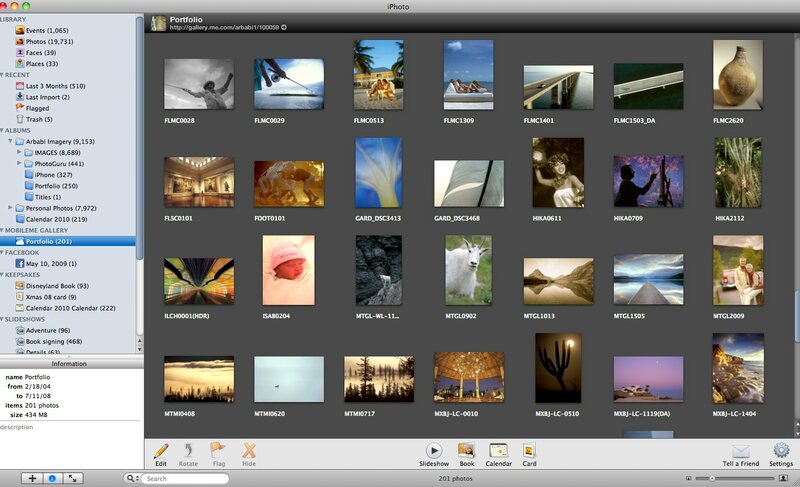 The program offers some great innovative ways to organize your photos, and some of these features have transferred into the latest version of Aperture (Aperture 3.01). And btw, I don’t get paid by Apple (at least not yet) – I just love their products and have used them for over 20 years (including iLife and iPhoto ever since they came out)- I have over 20,500 photos currently in my iPhoto ’09 database. WHO: Now with a section called “Faces“, you can find the people you’ve photographed much easier and faster, through facial recognition software. They use “cork board” backgrounds to view snapshots of your friends, and allow you to skim across them polaroid-looking shot to see all of images of them. 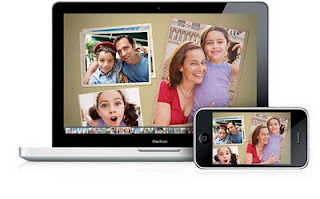 How to you get iPhoto to recognize a friend or family member? Simply click on the “name” icon, then add a missing face to any particular photo, and the software begins to learn those facial features- and, it gets better as you add more of their photos- it’s pretty cool! You can even confirm or reject photos if they don’t match, and create “Smart Albums” with a group of people (as I did with photos of only my family members). WHEN: “Events” has been part of iPhoto for a generation or two (I believe it came out in iLife ’08). It basically separates your photos into events- that is when you took your photos (by date or event if you decide to create one). Again, you can skim across the event to see all the shots in that group. You can even merge events by dragging and dropping them into one another (as I did with a Christmas vacation that lasted a few days). WHERE: With “Places”, you have a Map view and a List view of the locations where your images were captured- you can manually place locations, use reverse GEO Coding (on devices such as the iPhone or any camera with GPS, basically recording the coordinates of where your image was captured on the Earth). You can also create personal locations such as “Our Home” or “At work”. One big aspect of iLife I love is I can utilize my images- and with “Calendars” I can make an album, select all the photos I want to add to it, then click the Calendar icon at the bottom to make a year-long calendar. I created one late last year, showed it on a few tv shows (The View from the Bay on ABC in San Francisco, and on Bay Area Focus on CBS/ CW 12) – then I gave one copy to my parents, one to my Mother-in-law, and kept one which we are using for 2010. I also put photos on specific dates in the year, using photos of family members on their specific birthday dates- each calendar only cost me $19.99 plus shipping- pretty good for a year-long gift. BOOKS: Similar to calendars (and cards), you can create great books / photo albums using nice new themes. You can add a travel-map page, create a photo wrapped cover that matches the dust jacket, and the printing looks great as well as the professional binding often seen in high-quality books. Then, Apple ships it in a protective sleeve. You can make books in a few sizes, include a small “brag” book, and the prices are great (the small book going for 3 for $12). SLIDESHOWS: I’ve always used this feature but now you can add Videos and Stills together to create slideshows. I’ve made iPhoto slide shows in my photo workshops for years- simple, easy, can add music, Ken Burns effects, and so on- all creating nice clean presentations. Check it all out – Apple’s iLife goes for $79 – that’s right, under $100 bucks- and I didn’t even mention all the other programs included, such as iWeb, iDVD, iMovie, and Garage Band.